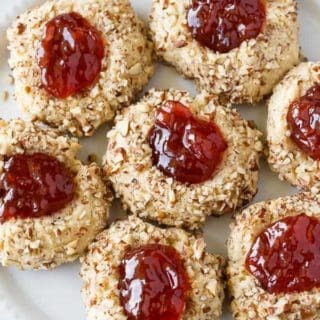 According to the pickiest eater I know, these Thumbprint Cookies are the best cookies ever. If you are looking for cookie recipes to make this Christmas season, this is your recipe. To say they were a huge hit is a massive understatement. I do batch cooking when I make recipes. It’s just easier that way to get them all done and photographed in one shot. I usually end up with more food than my daughter and I can eat. I end up calling my cousin, Allison, who has two teenage boys with ravenous appetites. Her husband, Darwin, also likes to sample the recipes and give his critique. Allison said it is VERY hard to please him when it comes to food. In fact, it’s quite normal for him to say that I should have done this or that. Constructive criticism is always good. I often wondered if I’d ever make a recipe that he didn’t have something to say about it. 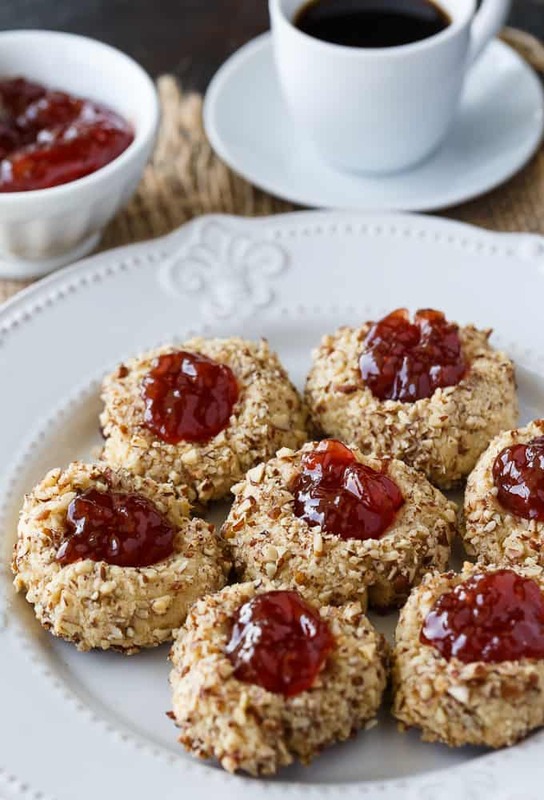 These Thumbprint Cookies turned out to be that recipe. Darwin couldn’t stop raving about them and had ZERO complaints or critiques. The best cookies ever came out of his mouth. I was shocked and happy. Finally, I found THE recipe that impressed Mr. Picky Pants. You can bet that Allison will be making this cookie recipe over the holidays. Darwin wouldn’t have it any other way. 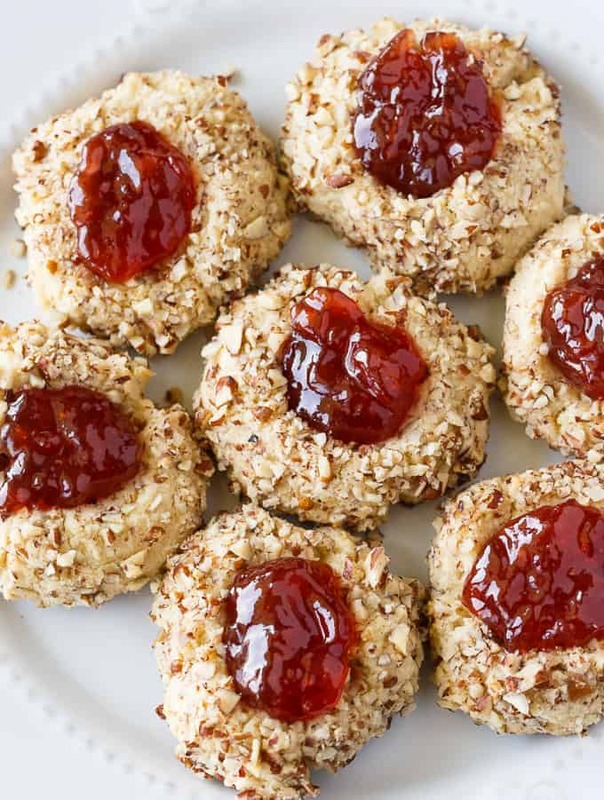 Thumbprint Cookies are a holiday classic that you can expect to see in any cookie exchange. The cookie is sweet and buttery with a bit of a crunch thanks to the chopped pecans. The filling can be whatever jam you like. I used strawberry jam because it’s our favourite. 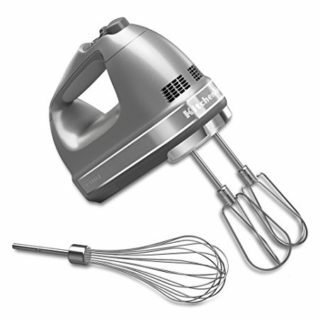 In a large bowl, beat the brown sugar, shortening, butter, vanilla and egg yolk with an electric mixer. Stir in flour and salt. Roll the cookie dough into 1 inch balls. Place egg white sand pecans in two separate bowls. Dip each ball in egg whites and then roll in pecans. Place about 1 inch apart on an ungreased cookie sheet. Press thumb into the centre of each cookie. Be careful to not press too far down. Bake for 13 minutes at 350F. Immediately remove the cookies to a wire rack. 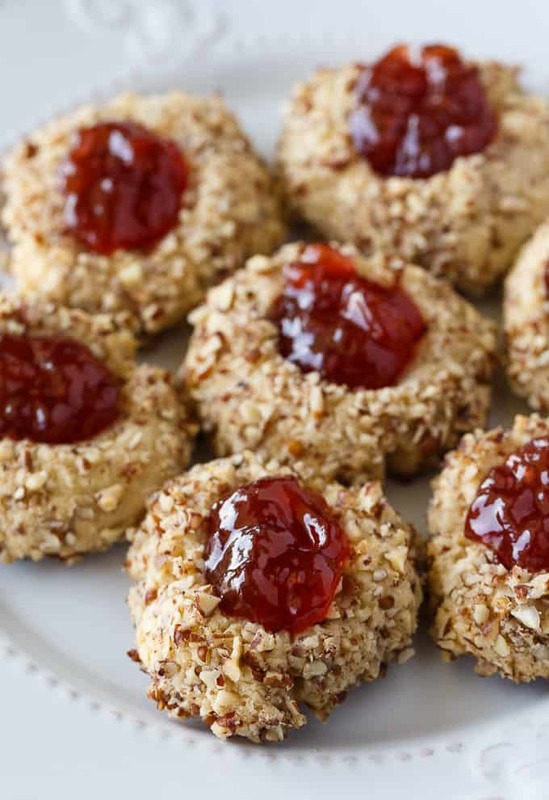 Let them cool for 30 minutes and then fill each cookie with 1/2 tsp of jam. I know some of you like to freeze recipes so I thought I’d answer this question in advance. Yes, you can freeze Thumbprint Cookies! Bake them like the recipe says. BUT…just freeze the cookie portion. 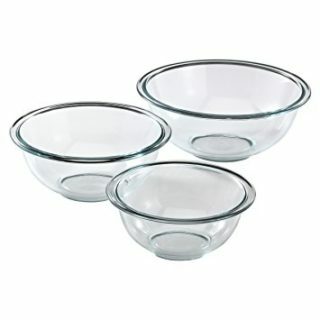 Add the jam filling later on when you thaw them out and want to serve them. Looking for more cookie recipes? Check out my Fudge Cookies, Whipped Shortbread Cookies, Rice Krispie Cookies, Cream Cheese Cookies and White Chocolate Chunk Cranberry Cookies. What cookies do you like to make for the holidays? 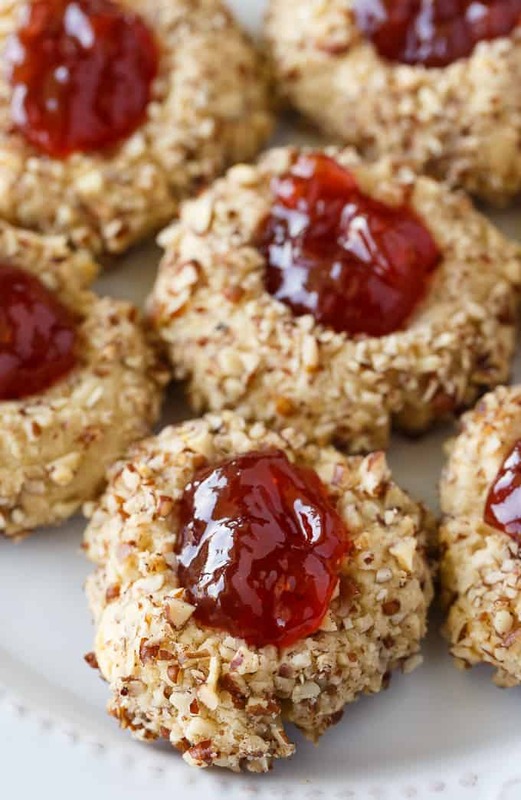 A classic jam-filled cookie that practically melts in your mouth! In a bowl, beat together brown sugar, shortening, butter, vanilla and egg yolk. Stir in flour and salt. Roll dough into 1 inch balls. Place egg whites and pecans in two separate bowls. Dip each ball in egg whites and then roll in pecans. 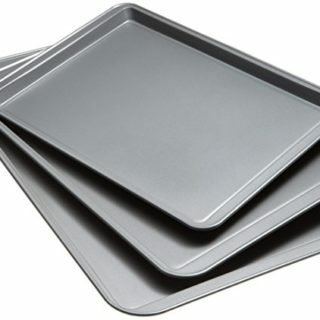 Place about 1 inch apart on an ungreased cookie sheet. Press thumb into centre of each cookie. Make sure to not press too far down. Bake 13 minutes. Immediately remove cookies from cookie sheet to a wire rack. Let cool 30 minutes. 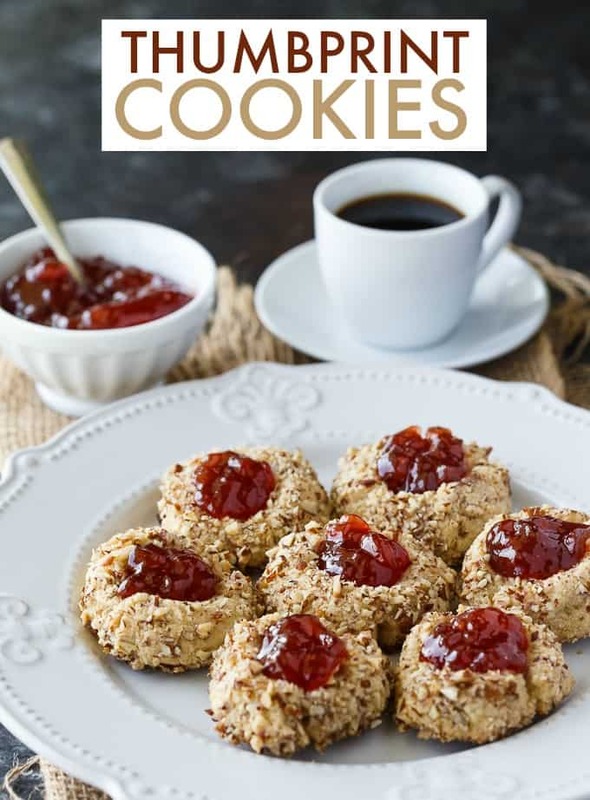 Fill each cookie with 1/2 tsp jam. 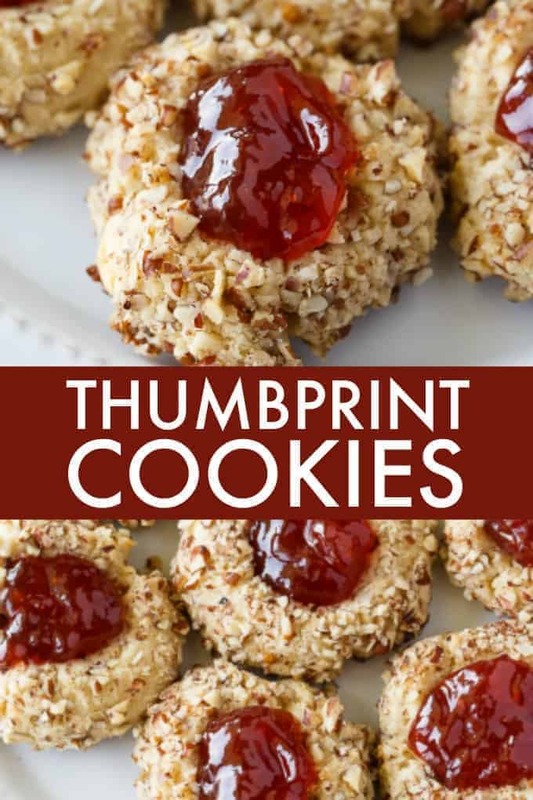 Thumbprint cookies are my favorite! We make them with a drizzle of icing made of powdered sugar and a little lemon juice. Delicious recipe and great tips, thanks! Pinned it. These are so festive and thumbprints are my favorite cookies. I love how versatile they are! These have always been a favorite of mine. My mother made these when I was a child and I have been baking them ever since. They are so delicious. 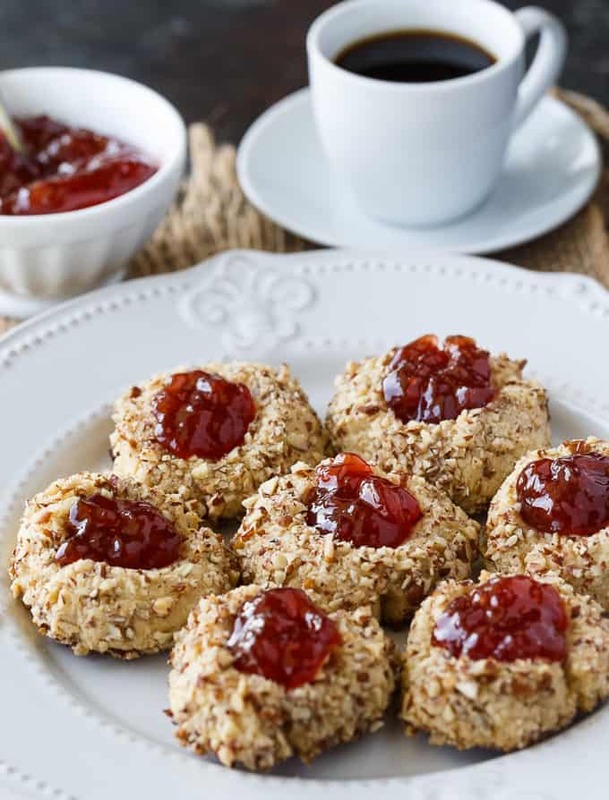 My family loves thumbprint cookies – I use a recipe that calls for crushed cereal – I wonder if they would like it with the pecans?